A group of student hikers look out at the stunning view from South Peak on Mt. Tom in Woodstock. 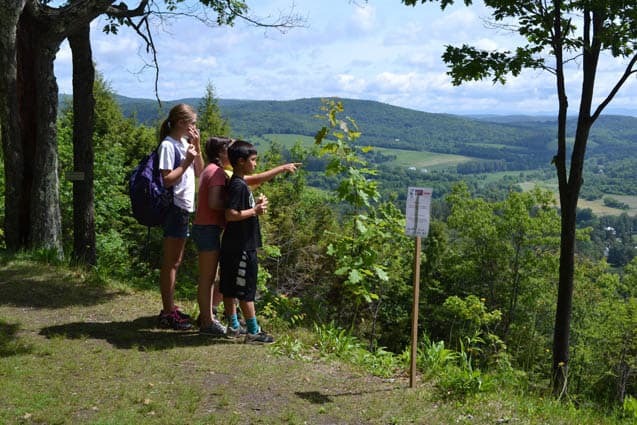 WOODSTOCK — The 7th Annual Trek to Taste, celebrating National Trails Day on Saturday, June 6, was a stellar success, organizers said. “The weather could not have been better. The activities were wonderful. The food fabulous. We saw many happy faces on the trails and at the Forest Center. Hundreds of individuals and families radiated the positive glow of connecting with each other, with nature, and with the community. It was an awesome day,” said Jo Anne Dolan, volunteer and special events coordinator at Marsh-Billings-Rockefeller NHP in an email after the event.